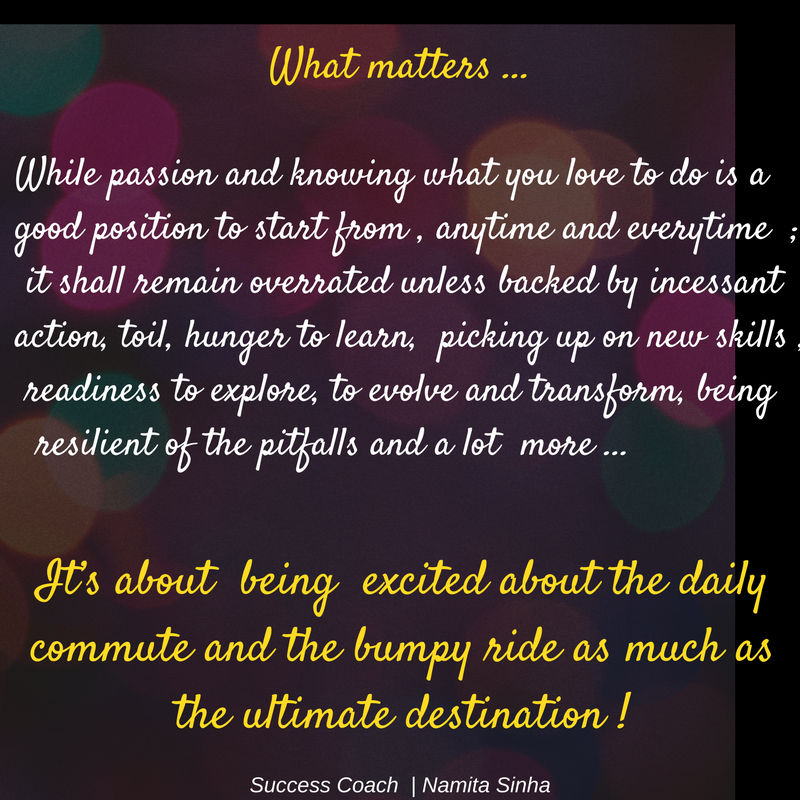 The Dove's Corner: Dose of Inspiration ...Passion is overrated unless backed by incessant toil ! 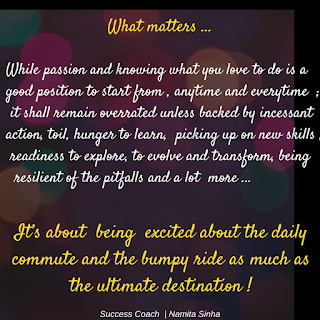 Dose of Inspiration ...Passion is overrated unless backed by incessant toil ! While passion and knowing what you love to do is a good position to start from , anytime and everytime , it shall remain overrated unless backed by incessant action, toil, hunger to learn, picking up on new skills , readiness to explore, to evolve and transform , being resilient of the pitfalls and so much more .. It’s about being excited about the daily commute and the bumpy ride as much as the ultimate destination ! We all have dreams and ambitions, and when one is in those phases of life where multiple choices and availability of options, - quite a fad ; endless advice – both asked for and many unsolicited, being showered from various corners, ;building and shattering of idols - an everyday phenomenon .., it could get a bit draining and chaos to pick up on focus ! Yes, I am writing from a recent experience of having interacted with a bunch of talented college students enthusiastically chalking out a career plan…, ! To 'meet' or not to 'meet' !